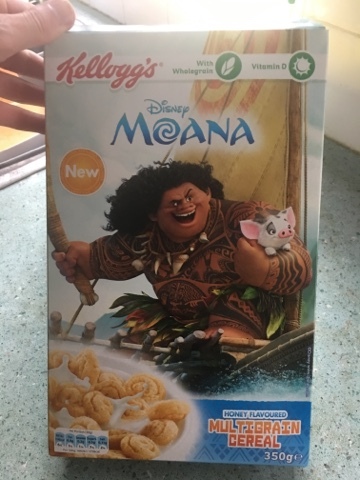 After visiting the Cereal Killer Cafe i felt honourbound to try the new Disney cereal that we spotted. 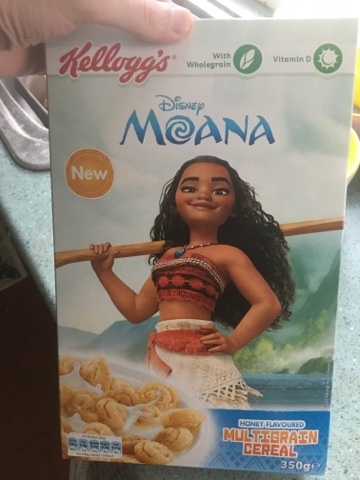 this is unusual in that it isnt a variant of an existing cereal but a whole new shape (at least to the UK). The box is as expected - clean, clear advertising for the characters from the new movie. It looks. A lot like Pocahontas, but I'm sure it's got its own story and heart. It has a cute pig, so frankly it can't go wrong. 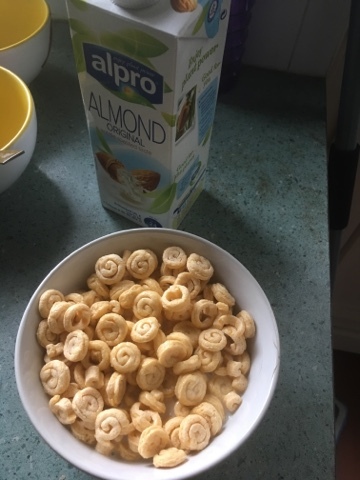 I had it with my usual Almond milk, but in a traditional promotional Kellogg's bowl. And as it turns out they are quite nice! The honey is good, the shape is fun and they fall to bits so you get a little variety. I think they do go a little pit too soft if you leave them, and like American cereals they are really nice dry. So essentially they are worth a try, and they are 79% cereals and only 21% sugar and insulin. 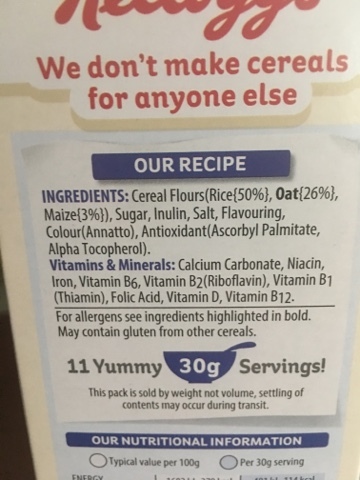 Oh wait - no - that's Inulin, even American cereal manafacturers haven't had the foresight to include insulin in with the chocolate frosted sugar bombs yet.